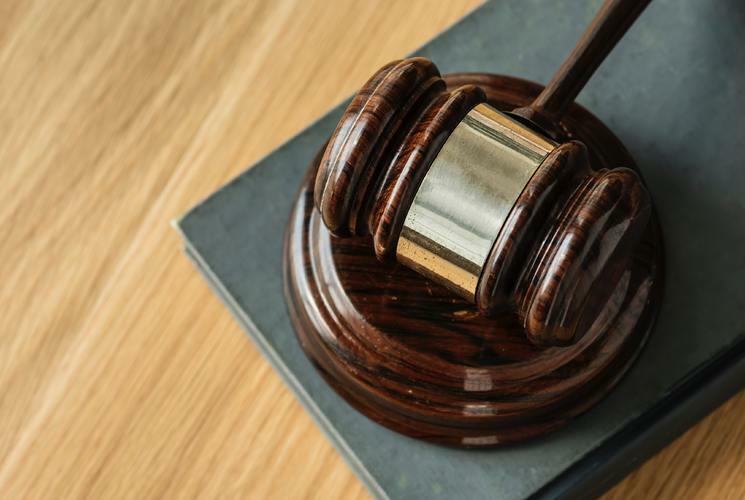 The Chamber also maintains its original stance that there should be no legal distinction between foreign and local companies, unless it is to provide exceptions for legitimate reasons such as specific national security concerns. At the same time, it recognizes that the FIL plays an important role in formalizing the legal foundation for the shift from the old foreign investment catalogue to the new-market access system based on a negative list, which is hoped will provide increased certainty for European businesses. 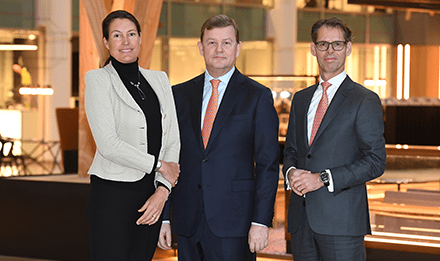 Alibaba Group Holding has signed a memorandum of understanding (MOU) with the Belgian government to extend its electronic world trade platform (eWTP) to Liege. 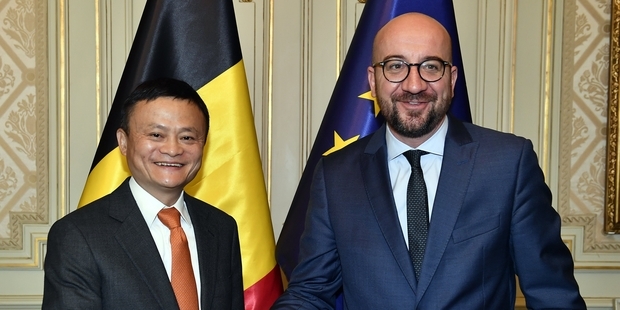 Belgium thereby becomes the third country to welcome Alibaba’s initiative after Malaysia and Rwanda. eWTP seeks to lower barriers to global trade for small and medium-sized enterprises (SMEs). “With over 98% of European companies being small to medium businesses, this partnership signifies our initial and expanded effort to enhance inclusive trade opportunities for these businesses in Belgium and across Europe,” Alibaba Chief Executive Daniel Zhang said in a statement. Alibaba-owned Cainiao Smart Logistics Network signed a contract with Liege Airport to lease a 220,000-square meter site where the Chinese company will build a smart logistics hub. Alibaba estimated the project will entail an initial investment of €75 million, with the first phase of operations expected to start in 2021. “The arrival of Cainiao reinforces the competitiveness of our airport,” Liege Airport Chief Executive Luc Partoune said. “Several Chinese companies are already here.” In September, Alibaba said it plans to invest CNY100 billion to strengthen its global logistics network over the next five years. The eWTP was conceived by Alibaba Executive Chairman Jack Ma in 2016 as an electronic Silk Road to connect every country and give SMEs the ability to sell anywhere in the world. The benefits of using eWTP hubs include speedy customs clearance, logistics support and minimal tariffs. The first such hub was set up by Alibaba in its home base of Hangzhou, while Malaysia’s capital Kuala Lumpur became the first city outside China to become part of the initiative. The Malaysian hub is expected to be completed by the end of 2019. Rwanda recently became the first African nation to join the eWTP. Alibaba promised to help SMEs in Rwanda sell their products, such as coffee beans, on its online marketplaces. Alibaba sold a record CNY213.5 billion during its Singles’ Day shopping promotion on November 11, with health supplements, milk powder, diapers and skincare products among the most highly sought imported goods, the South China Morning Post – which is owned by Alibaba – reports. The agreement on the eWTP initiative in Belgium is the first such deal with a European country to promote inclusive global trade. “This will be a huge opportunity to boost exports and bring wide-ranging economic benefits to society, including employment opportunities to Liege,” said Belgium Prime Minister Charles Michel. Alibaba said the new smart logistics hub will be the cornerstone of the eWTP infrastructure collaboration and facilitate access to the Chinese market. In addition to the logistics hub, Alibaba and the Belgian government will work to digitize and streamline customs procedures to allow for a more efficient clearance of goods. Alibaba and Belgian trade and investment agencies will also work on promotions, marketing and direct imports of Belgian products to increase their sales on Alibaba’s e-commerce platforms. Alibaba will also promote Belgium as an attractive destination for Chinese tourists. For German firms, the trade war and slow reform are not sufficient reasons to slow investment in China’s large consumer market. Most German companies will ratchet up their investment in China, despite the ongoing economic uncertainty created by the U.S.-China trade war, according to a new survey. Two-thirds of German firms currently doing business in China said they plan to increase spending within the next two years, even though many are worried about China’s economic outlook and dissatisfied with the pace of reform. Over half said they consider China’s market opening insufficient and criticized the absence of a level playing field for foreign companies, while almost a third expected China’s economy to worsen in the coming year. The results of the survey, conducted by the German Chamber of Commerce in China, were released as Beijing expressed a willingness to increase the pace of reform during a charm offensive in European capital cities. The German Chamber survey was conducted before Chinese President Xi Jinping and U.S. President Donald Trump agreed to a ceasefire in the trade war. The survey shows that 86% of German companies did not change their investment plans in China over the past year. Another 10.6% decided to increase investment, while only 3.4% decreased or stopped investment due to regulatory and market barriers. Some 89.3% of German companies surveyed said they did not have any plans to leave the “world’s factory” within the next two years. In July, BASF, the world’s largest chemical firm, signed a preliminary deal to build a USD10 billion complex in Zhanjiang in Guangdong province. Signed during a state visit by German Chancellor Angela Merkel, the plant could become its third-biggest global production base upon completion in 2030. 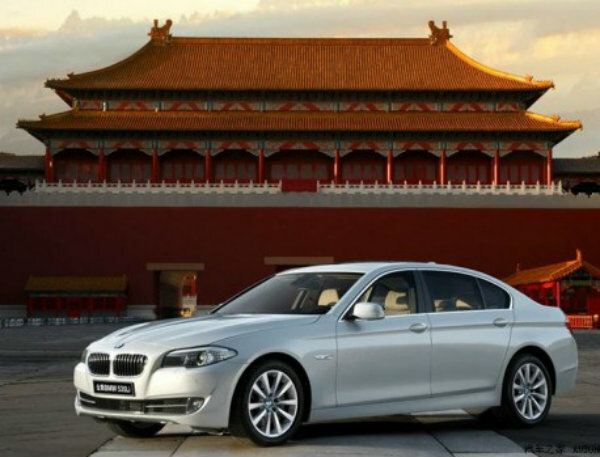 In October, Munich-based luxury car maker BMW announced a €3.6 billion deal to raise its stake in its Chinese joint venture to 75%, up from 50%. This was the first such move from a global automotive company and came after Beijing announced a relaxation of ownership rules in China’s car market. The deal will be completed in 2022, when the new rules come into force. Speaking at the Hamburg Summit: China Meets Europe, Chinese Vice Premier Liu He cited the BMW deal as an example of China opening up its economy to foreign investors. He said that BMW would be able to take a 100% ownership stake in the joint venture, but that it wished to maintain its local partner. The Chinese political leadership has used the European roadshow as a chance to present its free trade credentials, with Liu suggesting that China was willing to deepen cooperation on finance, trade and investments with Germany. But despite their willingness to invest, the survey showed that 55% of German companies thought China’s economic reform and market opening had been insufficient, while 53.6% were dissatisfied with the lack of a level playing field for foreign companies. German companies have also become less optimistic about Chinese economic prospects. Nearly 30% said they thought the economy would worsen in the next year, compared with 18.5% in last year’s survey, the South China Morning Post reports. German President Frank-Walter Steinmeier is making a six-day state visit to China this week. As Foreign Minister from 2005-09 and 2013-17 he advocated greater engagement with China. Steinmeier’s trip comes as trade between the countries is on track to reach an all-time high. China has overtaken the U.S. in the past two years as Germany’s largest trading partner. Germany has long been China’s biggest trading partner in the EU. China’s trade volume with Germany alone is equivalent to its total combined trade volume with Britain, France and Italy. Shanghai has stepped up efforts to attract foreign investment as some multinational companies are considering to move out of the country, and the tariffs in the escalating U.S.-China trade war render manufacturing uncompetitive. Shanghai Mayor Ying Yong said that the city will further cut red tape, including reducing the time taken for a new company to complete business registration, obtain a manufacturing license and gain access to electricity, soothing concerns about potential retaliatory measures against foreign companies operating in the country. “Whatever the economic situation we will face, the door for foreign businesses will not be closed,” Ying told a press conference after the annual International Business Leaders’ Advisory Council (BLAC) meeting. “Instead, we will further open it for them.” His remarks came after American and European businesses operating in China said they had fallen victim to the trade tensions between the world’s two largest economies. In September, some 7% of corporate respondents in a survey by the European Union Chamber of Commerce in China said they had either moved or were planning to move their production out to dodge the additional tariffs levied on key parts imported from the U.S. used for manufacturing goods in China. In another survey also conducted in September by the American Chamber of Commerce in China, nearly 50% of the 430 U.S. companies polled, said they were expecting a “strong negative impact” from the tariffs. Foreign direct investment (FDI) has been one of the key driving forces of Shanghai’s economic growth over the past two decades, contributing nearly 30% to local GDP. “For a developed metropolis like Shanghai, the loss of foreign investment will lead to massive job losses, reduced local economic output and diminish its role as the country’s economic locomotive,” said Yin Ran, a Shanghai-based angel investor. Foreign investment in Shanghai grew 2.1% year-on-year during the first nine months of 2018, topping USD12.9 billion, Mayor Ying told reporters. But a reporting mechanism to show the withdrawal of foreign funds is lacking, the South China Morning Post reports. GDS, SAIC General Motors, and German commercial vehicle supplier SAF-Holland are among a list of companies pledging a total investment of CNY23.4 billion in Shanghai. The largest proposed investment comes from Nio, an electric vehicle startup that promises a fresh injection of CNY16.6 billion in the research and development (R&D) of electric, smart, internet-connected and lightweight cars. French sporting goods retailer Decathlon is scheduled to set up a sports equipment headquarters in Shanghai with an estimated investment of CNY1 billion, and Japanese pharmaceutical company Takeda plans to add CNY809 million to its Shanghai operation and is on course to introduce seven new medicines to the Chinese market over the next five years. Swiss industrial conglomerate ABB Group said it will invest USD150 million to build its “largest and most advanced” factory in Shanghai. Production is expected to begin by the end of 2020 and annual capacity will be around 100,000 robots, one-quarter of ABB’s global demand last year, said CEO Ulrich Spiesshofer during his sixth visit to China this year. He identified Shanghai as a “vital center for advanced technology leadership for ABB and the world”. The new 60,000-square-meter plant will feature cutting-edge technologies such as machine learning, enabling it to manufacture a wide range of industrial robots. “The waves of investment show that Shanghai has become a critical hub for multinational corporations and an engine of growth. 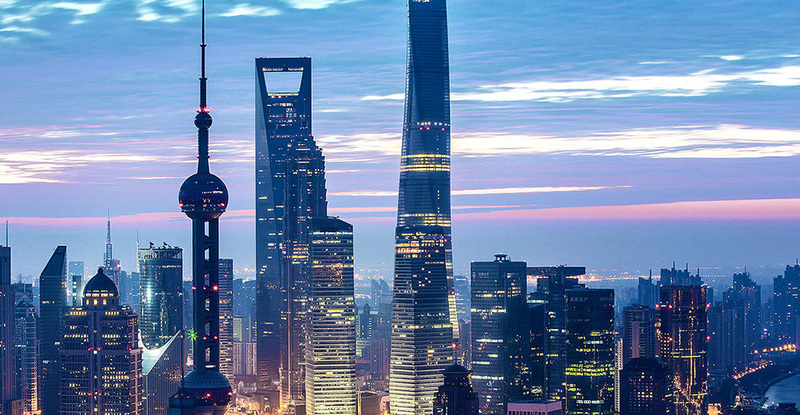 Their longterm optimism about investing in Shanghai remains unchanged,” said Shang Yuying, Director of the Shanghai Commerce Commission, as reported by the China Daily.